Two is best friends with One. Whenever they'd get the chance, they'd dance She'd sing and snap. He'd tappity-tap. What a pair they made At the end of each day, they'd always say, "ONE, TWO, I'll count on you, 'til the end, we'll be best friends." Until Three jumps in between them . . . Suddenly One only wants to play with Three. "ONE, THREE, odds we'll be " they chant. Two feels left out. But what can she do? 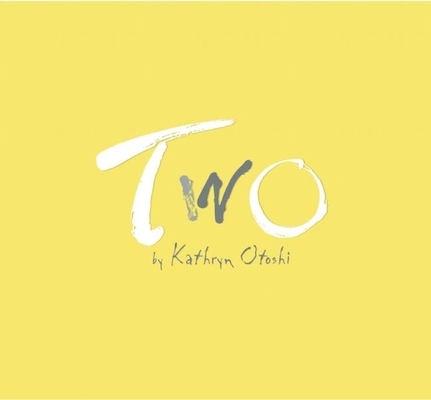 Another character-building counting book by award-winning author Kathryn Otoshi, Two is a powerful story of friendship, loss, letting go, and self-discovery. Children's book author and illustrator Kathryn Otoshi's book One was the winner of 15 awards, including the E. B. White Read Aloud Honor Book and the Teacher's Choice Award. She lives in Marin County, CA.